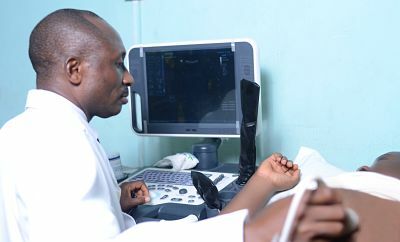 The moment you get pregnant, Your first visit will include a detailed consultation, few blood test, urine examination, Ultrasonography and plan for your subsequent visit to the antenatal clinic. This program offers a variety of antenatal and postnatal classes so that the women may prepare themselves for the demand of labour. Strategies for staying healthy throughout pregnancy, managing pain during labour, stress management, pain relief etc is included in these classes. Fetal assessment forms the major part of antenatal care and is done by the most modern USS machine and fetal monitors to assess your baby’s health. We have multidisciplinary team approach to manage any medical problem during pregnancy. For instance, pregnancy with heart disease, where care is given by a team of cardiologists and obstetricians. We have facility to manage any obstetric emergency in our well equipped labour ward and most modern medical intensive care unit with continuous monitoring facilities, pulse oximetry, ventilator support and in-house blood bank for blood and blood products. Clinic Days: Mondays, Tuesdays, Thursdays and Fridays 9am – 12pm. This is an exclusive facility available at UBTH. A state of art delivery room where labour is conducted. Facilities like electronic fetal monitoring, ultrasonography, Pulse Oximetry are available. For prevention of cervical Cancer, we have colposcopy clinic to detect any pre-cancerous lesion on the mouth of the uterus (cervix). The hospital runs a centre for disease control where cervical smears are done at a very affordable rate. Patients with abnormal smears are sent to the gynae- oncology clinic on Mondays between 9am-12pm and subsequently have colposcopy on Thursdays between 12-3pm. other available facilities include cryotherapy which holds on Wednesdays between 12 – 3pm. Vaccination against cervical cancer with HPV Vaccine is done on Wednesdays between 9-12 Noon. Most pregnant mothers want to have the best possible for themselves and their babies. The department of Obstetrics & Gynecology at UBTH is committed to give the highest standard of care to Mothers and newborns. Facilities for surgery and Chemotherapy for various gynaecological cancers are available. It offers counseling, wide range of contraceptive choice for couples and involving couples in decision making. The clinic is open to the general public Mondays to Fridays 8am – 4 pm. Infertility clinic and Endocrinology runs a a detailed consultation and complete infertility work up and including: Assisted reproductive technology inclusive of Intra-Uterine Insemination (IUI) In-vitrofertilization and Embryo transfer, Invitro-cytoplasmic sperm injection and counseling facilities all at affordable rates.